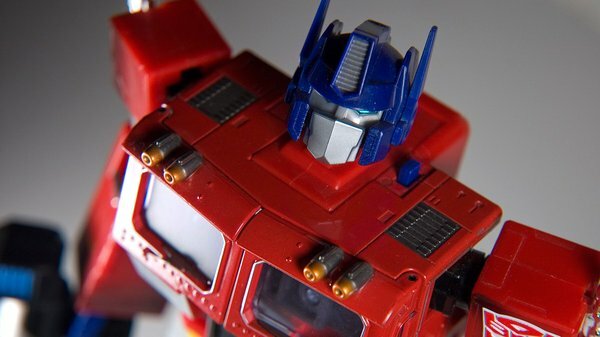 By Wesley Fenlon on April 19, 2013 at 12:30 p.m.
Transformers: A year of really hard work (in disguise). "Predaking" is a name that absolutely screams Transformer. If you're a kid, it's probably also a name that screams awesome. And seeing Predaking transform from a robot into a bristly dragon? Double awesome. Gizmodo had the rare opportunity to visit Hasbro's headquarters and see the step-by-step transformation of Predaking from concept drawing to multi-faceted plastic predator. Apparently, it can take almost a year for a Transformer like Predaking to make it from concept to 3D CAD model. Hasbro's constantly working on hundreds of designs, some of which won't be released for two or three years. 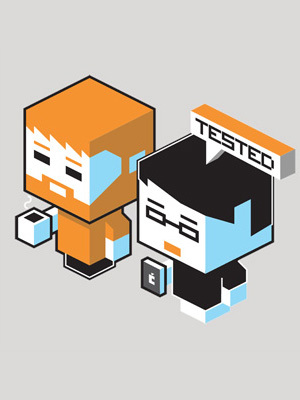 Gizmodo's story includes some great tidbits from the design process. Photo credit: Flickr user bnorthern via Creative Commons. When starting on the Beat Hunters series, Habsro's Transformers masters ripped apart some old Transformers and Zoids figures and pieced them together as horribly malformed prototypes. The animal, or alternate mode, always comes first, and the designers are careful to put thought into the abilities of that mode. For Predaking, that meant thinking about how a dragon's neck should let him perform a chomping action. Sketching and planning out the transformation also looks like a nightmare, and that's before the material science enters the picture. Different types of plastic are suited to different purposes. Spikes or pointy bits will often be made from bendable PVC, while joints will be cast from a hardier plastic called celcon. Use too few different materials, and the toy will feel cheap. Use too many, and it'll be too costly to manufacture and sell. Want another complication? Hasbro does all this design work in partnership with Japanese toy company Takara Tomy, and the father of Transformers occasionally stops by to see if new figures meet his approval. Gizmodo's full article goes in-depth into each stage of the design process, so give it a read. Even if you don't like Transformers, it's cool to see how much hard work goes into toys that kids play with.